star wars — Apple Beauty Inc.
Star Wars is an popular space film series described a galaxy as "far, far away" in the distant past, and portrays adventures and battles between good and evil. Our children collection of fragrances inspired by main characters such as Stormtrooper, Darth Vader and R2-D2 Astomech Droid. 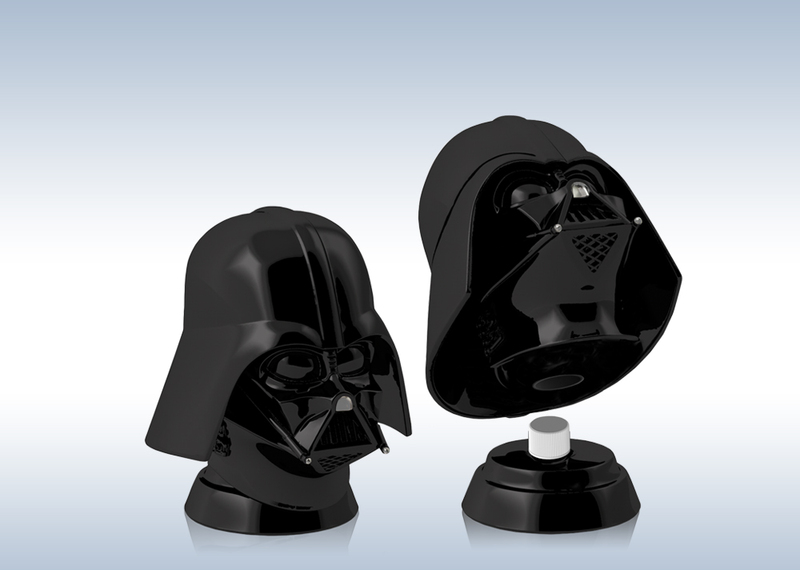 The packaging and 3D shaped bottle designed following the Star Wars theme. The fragrance for boys comes in Eau de Toilette spray. Gift Sets have in metal box and children can use in as keepsake box. 3D bath line which has 3D shaped aluminum tin can gift set and contains 2 pieces such as Eau de Toilette Spray and Shower Gel, as well as, shampoo's in a size of 200 ml / 6.8 oz and shower gel's in a size of 350 ml / 11.9 oz and an amazing 3D Shower gels in a size of 300 ml / 10.2oz with "Bubble gum" scent. Base-Sandalwood, Creamy Musk, Amber, Tonka bean. Shampoo 200ml / 6.8 fl.oz. Shower Gel 350ml / 11.9 fl.oz.